You may have noticed last month, that I ran a really lovely (in my opinion!) 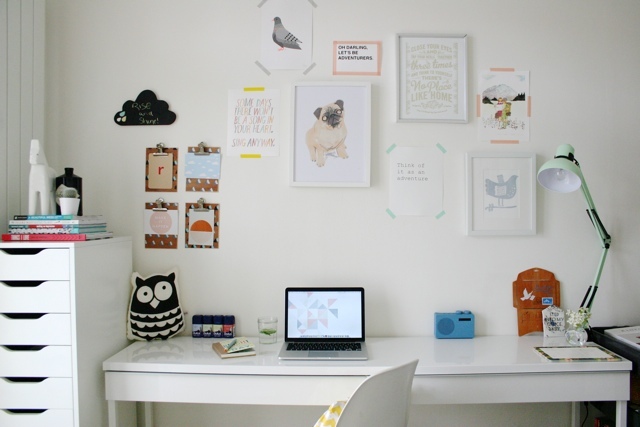 competition where bloggers wrote about their desks and recent makeovers to be in with a chance of winning £500 made.com vouchers. Well the entries were fabulous and you can see them all in this post here. I must admit it did take me ages to choose the winner, I even had to enlist a little objective help to ensure I wasn’t being drawn by my personal likes. Some of the entries linked up in my #LoveYourHome linky too, and you can see my favourites from the image I used there. The Winner, Ruth from The Planned Adventure was thrilled to be chosen and I loved her entry for various reasons. It was full of originality, creativity and style, and I loved the way she had a story for each of her featured pieces. Ruth has very kindly said I can use some of her images, and even granted me an interview, telling us more about her desk space. Over to Ruth. Thanks for taking part in the competition. What was it that really inspired you to show us your desk landscape, apart from the awesome prize of course? I loved the creative element to the competition, it seemed like a fun idea and since I’d only very recently revamped my desk I thought it was perfect timing! How long have you had your desk like this? It’s only been a month or so, as I took my time gathering my favourite pieces and making it feel like ‘me’. The room was painted a while ago, then the furniture was added – but it was only the completion of the gallery wall that made it feel complete. You mention that you take inspiration from Pinterest, is this your only source or do you have others that you turn to? Pinterest is one of my favourite places to find inspiration, but I love magazines too – I buy so many each month and am always inspired by the beautifully styled homes. My favourite part of any magazines are the real homes tours, I love seeing how others style their homes. How did the makeover change how you work on a daily basis? 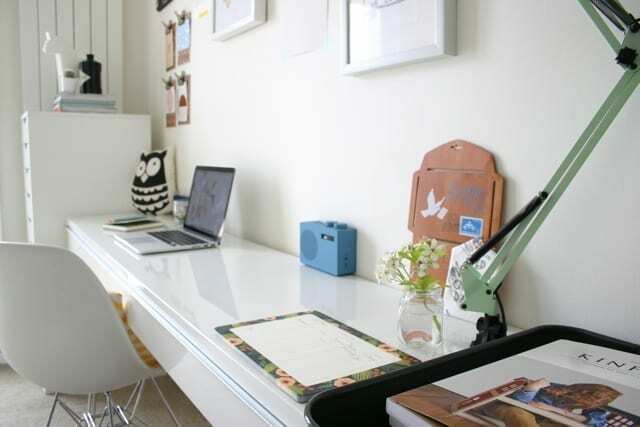 Before I had this desk space I often worked sat on my bed or the sofa, which wasn’t very helpful for doing good work! Now I have a set place to go and work, and I can keep my things together and have them all close by. Now that I’ve created a happy, inspiring place, it means that as soon as I sit at my desk I’m raring to get to work. 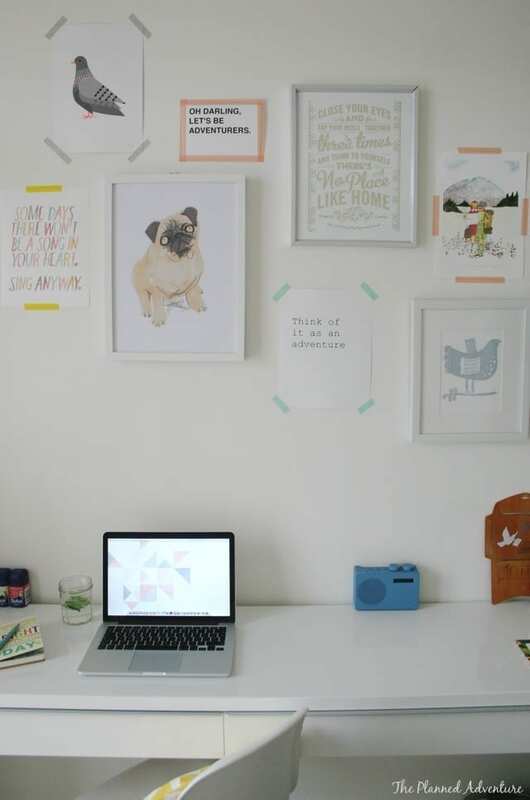 Could you pick just one favourite item from your workspace? Why, that one? I think it would be my Rifle Paper Co weekly planner. I keep it on my desk to plan out my days. I plan everything from work, to meals and gym visits – so that nothing is forgotten! This Competition was run by British Gas Business who very kindly donated the prize.